When you venture to the lower level of the library it is most likely in search of research, a computer, copier, or fax machine. Maybe you are looking for the current newspapers or magazines, information on a particular topic, or some large print reading materials. 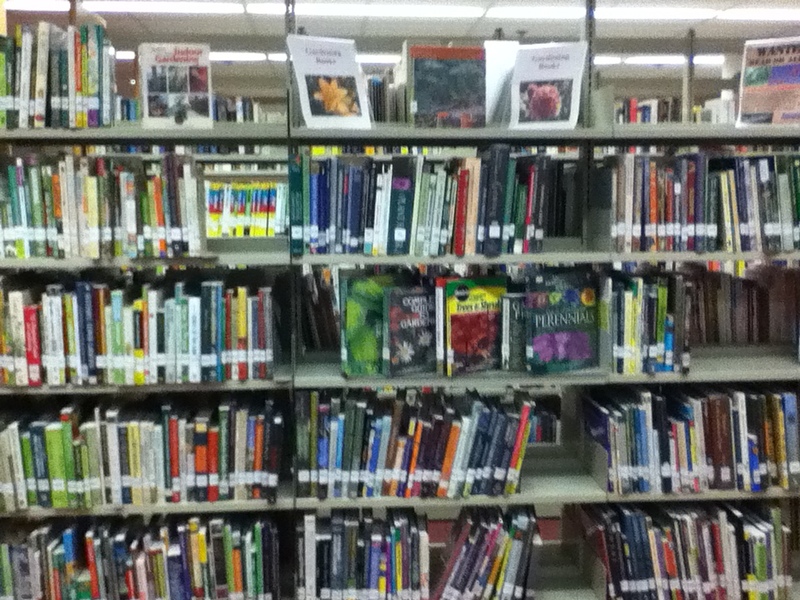 However, like every section of the library there are hidden treasures just waiting to be discovered. Here are some great resources you might want to explore. Biographies and memoirs are among the most read nonfiction materials, but they can be hard to find. Thankfully our new signage makes it much easier, but I would like to make it even easier. If you have come down the stairs simply walk around to the opposite side of the stairwell enclosure and you will be facing the beginning of the biographies. They continue on in shelving to the right, both on the wall and in the short wooden bookshelves. Biographies are shelved by the last name of the person the book is about. Whether you are planning a trip, or just dreaming about getting away for awhile, the travel books are a wonderful resource. This popular collection is another that often gets asked for or missed by browsers. 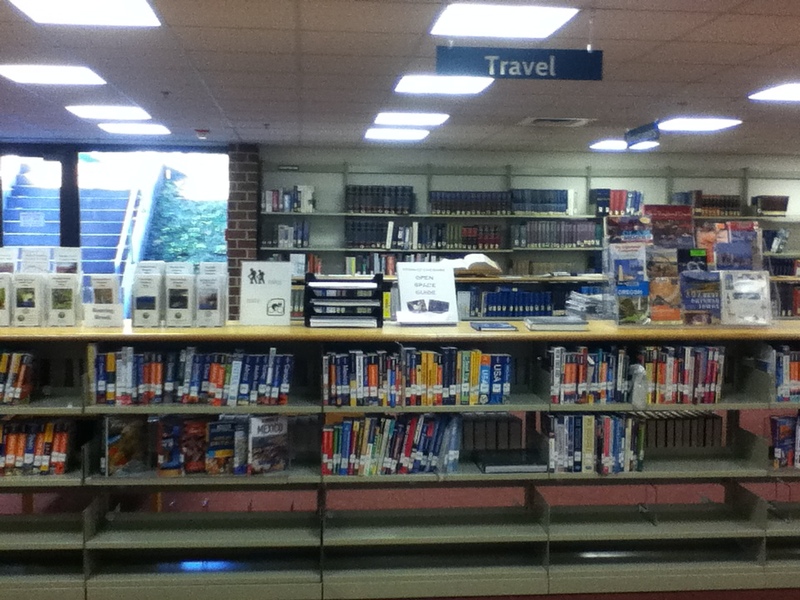 The travel material call numbers are in the 900’s and can be found on the short wooden bookcases near the stairwell. These materials are a fabulous resource to anyone looking to learn English, or improve their language skills. 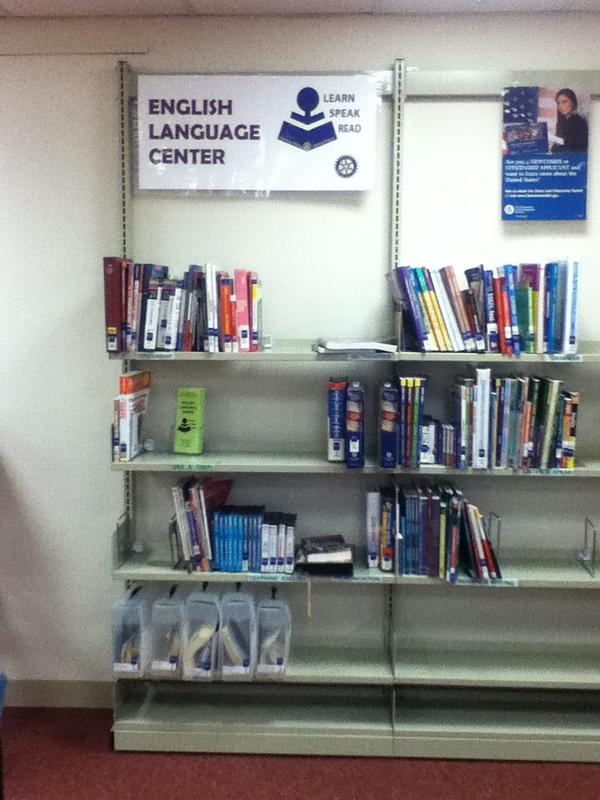 These are books about business and every day language use, as well as information about citizenship exams. There are audiobooks as well. The call numbers for these materials all begin with ESL and can be found in the left hand corner of the street facing wall of the building. 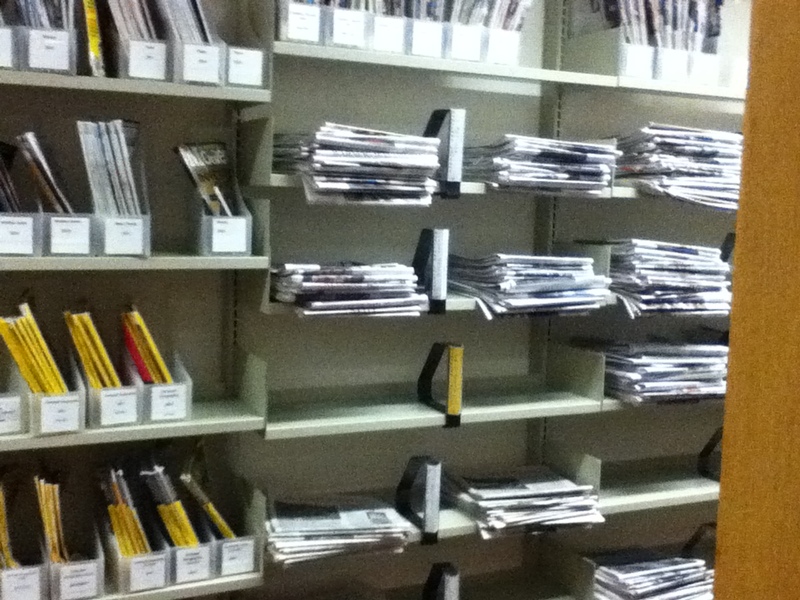 The current magazines and newspapers have been moved from the upper level to the lower level. Both collections are highly visible after you exit the stairwell, or step off the elevator and walk towards the Reference Desk. However, did you know that we keep older magazines and newspapers for a limited time? The length of time depends on the publication, but if you need a magazine issue from a few months ago, or want to photocopy a newspaper article from last month, it is handy to have these available. The magazines begin right after the adult holiday materials, past the elevator, and continue around to the shelving on the back wall (parking lot side of the building). 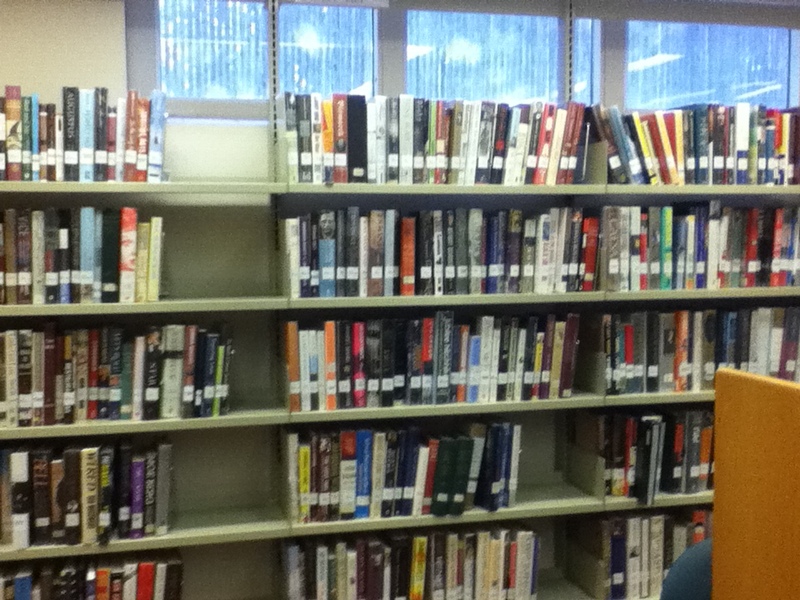 The older newspapers are shelved right after the magazine back issues. Adult gardening materials are highly popular in the spring and summer, and are frequently requested. While you might not be thinking about these books yet, there are many valuable resources when it comes to everything related to vegetables, flowers, lawns, shrubs, compost, and so on. These materials are shelved before the rest of the non fiction collection because of the sheer volume and popularity or the information. However, if you did not know where they are, you might walk right past them. If you cannot find the materials you are looking for, or need help narrowing down your search for the perfect source, please stop by the reference desk. Our Reference librarians know that collection, and its nooks and crannies, and have a number of fantastic resources at their fingertips.